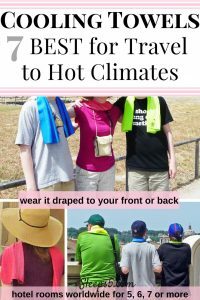 Family friendly hotels: Seattle accommodations for a family of 5, 6, or 7 in one room or suite are listed in alphabetical order below (scroll down). The interactive Google map shows each hotel location. Large hotel rooms, suites, and a hostel, are included. All have private bathrooms, unless otherwise noted. There are King, Queen, Double and Single beds, and in some of the Seattle hotel suites, family members can sleep on a pull-out sofa bed. Or a roll-away bed or crib (called a baby cot in some countries) can be provided. Listed below are family rooms for every budget. Check out the $ and $$ hotels if you’re looking for a cheap place. Or click on hotels with $$$$ or $$$$$ for a luxury family hotel in Seattle. Keep in mind that prices fluctuate quite a bit seasonally, or during special events. 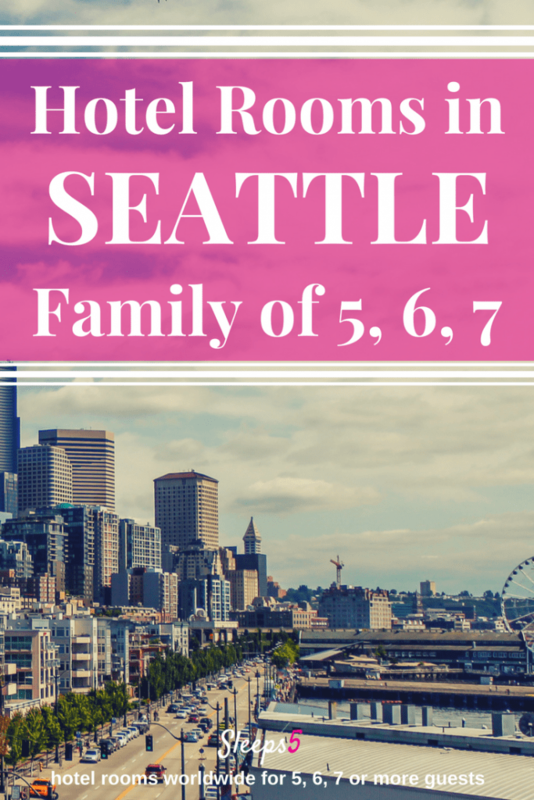 Our aim is to help you find where to stay in Seattle with family. If you know of other ideal large room or suite-size Seattle hotels, with kids, teens, or babies, please email us or comment below! For more information about attractions and activities in Seattle, check out the visitors bureau website at “Visit Seattle“. See the menu above for more cities with lists of large family hotel rooms or suites. On the west coast of the US, we’ve included over 20 San Francisco Family Hotels for 5, 6, or 7 and in to Canada you can see over 10 family hotels in Vancouver, BC for a family of 5, 6, or 7. Hover over a map marker to see the name of the Sleeps5 hotel. Click on the hotel name in the list below the map to see details.